Is Mindfulness-Based Stress Reduction (MBSR) Right for You? Mindfulness-based stress reduction (or MBSR) is a method initially developed by Dr. Jon Kabat-Zinn at the University of Massachusetts Medical Center to help individuals dealing with a variety of health issues to learn to more effectively cope with stress. A leading cause of many physical and mental health issues, stress frequently goes hand-in-hand with our modern, busy lifestyles. When subjected to stress, the body tends to go into fight-or-flight mode. This is an appropriate response when we need to escape from a dangerous situation, but inappropriate when the stressor is a psychological one (such as when we have an overabundance of work). During stressful periods, the body may go into a state of hyperarousal, causing stress hormones to be released that help us deal with the issue at hand but that can lead to illness and mental distress when the pressure is ongoing. This reaction to stress can contribute to numerous ailments and psychological issues such as anxiety, depression, exhaustion, substance use, and burnout. Mindfulness-based stress reduction practices can be helpful in teaching us more effective ways of responding to stressful situations. MBSR training includes learning how to meditate and to establish a better mind-body connection through a few simple yoga postures and body movement exercises. By bringing more awareness into our daily lives through the use of these simple techniques, we gradually become more capable of responding to stress in healthier ways. Reducing stress levels, which can lead to overall improved health and well-being, a greater ability to fight off illness, and fewer psychological issues. Increasing the ability to respond to stressful situations in effective ways instead of using unhealthy methods to cope. When we react to stress from a fight-or-flight standpoint, we may use harmful coping mechanisms, such as working longer hours, overeating, increasing caffeine and/or nicotine use, zoning out on the television or computer, and/or drinking or abusing substances. As we learn to respond to stress from a more mindful perspective, we can start to address our issues more effectively without going into a state of denial or spending a lot of time ruminating about them. Becoming more fully embodied and in touch with the sensations of the body as they arise, which includes gently accepting any feelings of discomfort that may be present. A normal inclination is to resist painful sensations, which causes us to tense up and actually increases the level of pain we experience. By turning toward any feelings of discomfort rather than away from them, we can decrease the pain we may be feeling. Increasing our ability to remain focused and aware of whatever is occurring. Mindfulness practices teach us to observe the transitory nature of our thoughts and emotions and allow them to move through us rather than dwelling on them, which only tends to create more worry and anxiety. With an increased ability to focus on the here and now, we also become better able to do our jobs and accomplish daily tasks. 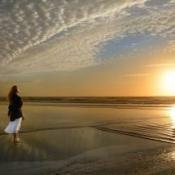 Learning to become less judgmental and more compassionate toward others and ourselves. As we watch thoughts and feelings come and go, we begin to take on a more neutral stance toward them and become more accepting of whatever arises. This tends to lead to a greater sense of understanding and compassion. Getting in touch with our inner state of peace and joy. 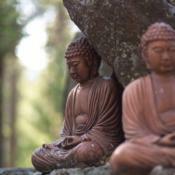 As we start to tune in to our bodily experience, we may also begin to feel a greater sense of equanimity, as well as reconnect with being alive. 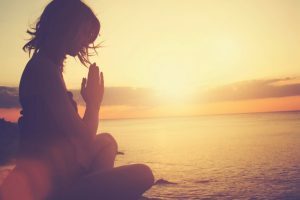 Learning mindfulness-based stress reduction techniques can be extremely beneficial in reducing stress levels, improving health, and helping us to reconnect with the simple pleasures in life. These techniques, which can be practiced independently or in combination with psychotherapy, can assist with decreasing a variety of problematic symptoms. If you are interested in learning more about MBSR, you may want to explore one of the many books that have been written on the subject or join an MBSR class offered in your area or online. One-on-one guidance can be obtained by contacting a therapist trained in mindfulness techniques. Fat-Free Buddhism: Is Mindfulness Becoming a Religion? I am going to start looking to see if I can find access to an MBSR class in my area. I agree with Lance. How could this not be beneficial to all of us? It seems like if you were able to fully clear your mind and focus on this then the personal outcomes and improvements could wind up being pretty incredible. This would be an awesome practice for many companies to put in place and instead of always doing some sort of retreat with goofy team building activities ( I am sooo over that! ), it would be really cool if they would give some instruction in this, teaching others how to be more mindful of others with whom they work and how stopping the judgement that we may have toward each other would actually lead most of us to be way more creative and productive. Couldn’t a lot of therapy practices ultimately be called mindfulness based stress reduction? I mean, that is what they all do in some way right?